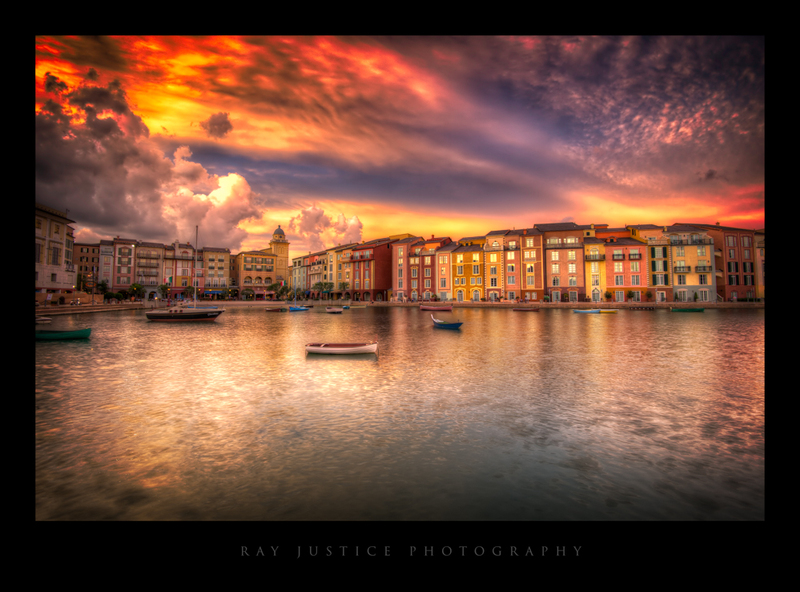 This was one of the first images I shot upon arrival at the Portofino Bay Resort at Universal Studios in Orlando. A storm had passed through about an hour before this image was taken setting up the fiery cloud/sky action. I tried to capture this image last year and saw almost no cloud action on that visit so I was stoked when the forecast called for afternoon thunderstorms. I used a 3-stop hard step Singh-Ray ND filter to capture the beauty of the sky. With a splash of Nik by Google and OnOne.